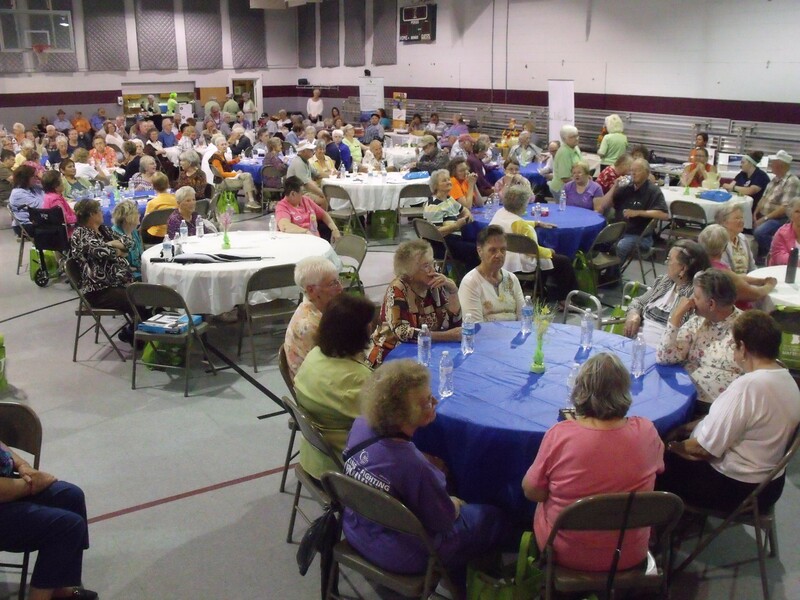 A large crowd including more than 140 senior citizens gathered at the Cliffview Church of God between Galax and Fries recently to celebrate the first Twin County Senior Day. The event included games, door prizes, musical entertainment, health screenings, information, food and fellowship. Event sponsors hope this was just the first of what will become an annual event for the area. Sponsoring organizations included District Three Senior Services, The Golden Living Center, Grayson Rehabilitation and Health Care, Waddell Nursing and Rehab, New Century Hospice, Access Home Health Care and Rehabilitation, Blue Ridge Home Health, Rooftop CAP, Hillsville Rehab and Health Care, Commonwealth Assisted Living, Lincare, Southwest Virginia Health and Home Care, Galax-Grayson EMS, Mountain Valley Hospice, Twin County Regional Healthcare, Grayson County Senior Advisory Committee, Galax Health Department, Mount Rogers Health District, Heartland Rehab, Anderson Audiology, and the Appalachian Independence Center.